Each Cadet is issued with uniform soon after joining. 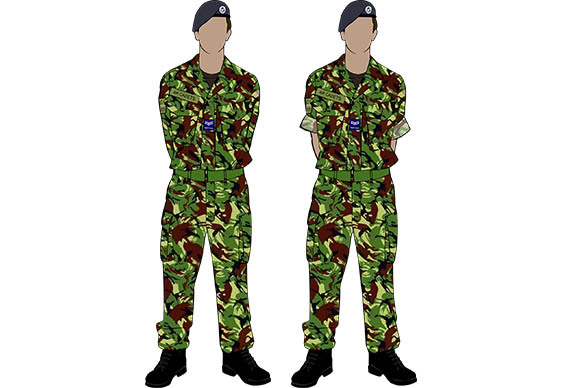 As a Cadet, you will wear the same uniform as the Royal Air Force, from your blue uniform shown in the image above, to the camouflage uniform worn for some of the more physical activities such as fieldcraft and target shooting. Most of the uniform is issued to each cadet free of charge by the Squadron, however, each Cadet will need to purchased their own shoes and may need to purchase their boots worn with No. 3 dress. We recommend speaking to the staff on the Squadron before buying anything as there may be a small amount of shoes/boots available. If not the staff will be able to advise which shoes/boots to buy and where to buy them from. 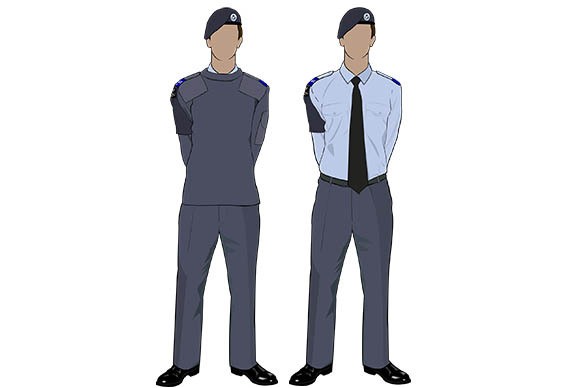 The range of uniform worn by any cadet is described below, hopefully this will give prospective cadets an idea of what you will be wearing and for existing cadets, this serves as a reminder and a reference guide to ensure you’re correctly dressed before attending events. Number 2A, consists of a wedgewood blue shirt and tie to be worn with your issued jersey, trousers or skirt for females, polished shoes with highly polished toe caps and beret. Cadets are reminded that they should always ensure that they have their jersey with them, regardless of the weather and jeltex rain jacket for inclement weather. 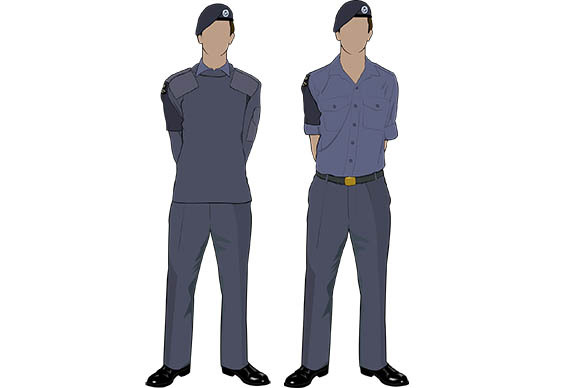 Number 2C, consists of a working blue shirt without a tie to be worn with your issued jersey, trousers or skirt for females, polished shoes with highly polished toe caps and beret. Cadets are reminded that they should always ensure that they have their jersey with them, regardless of the weather and jeltex rain jacket for inclement weather. Number 3, consists of a disruptive pattern material (DPM) or multi-terrain pattern (MTP) shirt and trousers, to be worn with a pair of clean black boots, beret a webbing belt. No brassard should be worn with your No.3 dress. 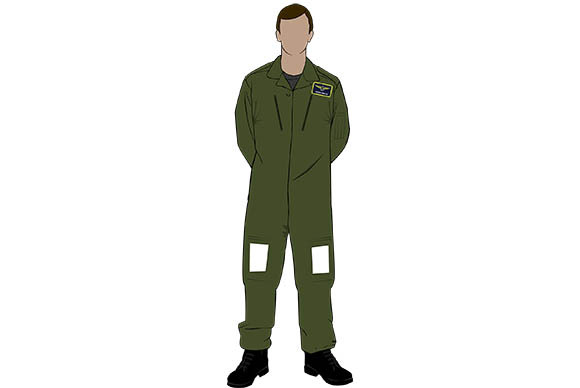 Flying suits will be issued to Cadets attending air experience flying (AEF) or gliding.